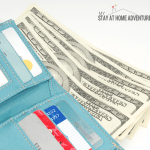 You are here: Home / Save Money / 9 Best Ways to Grow Your Savings Today! 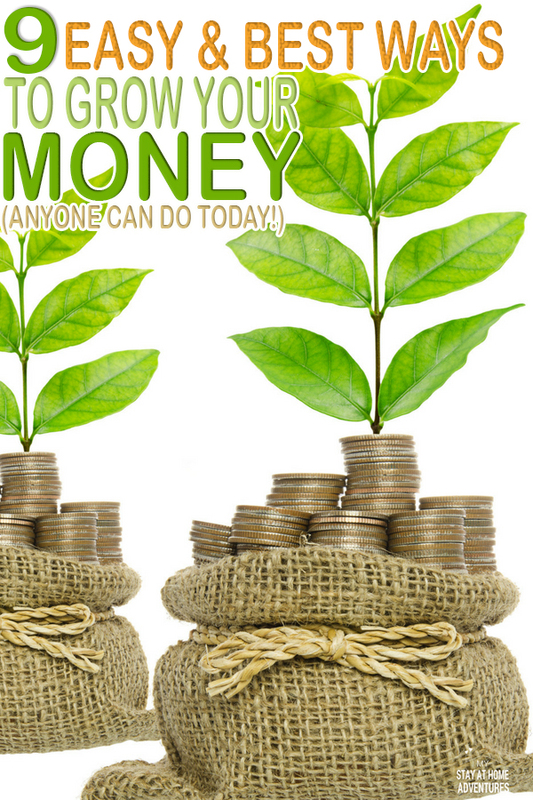 Yes, what you start doing today will help you grow your savings! Don't believe me read on my friends and learn how to increase personal savings today. 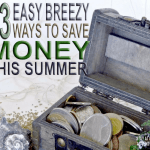 For many years here at My Stay At Home Adventures have been repeating the importance of saving money and having an emergency fund. As simple as it may sound, the truth of the matter is that many people don’t have money save nor know how to maintain their savings. Today we will talk about the best ways to grow your savings that have worked for me. You must love leaving a stressful financial life. You must love living paycheck to paycheck. You must love having debt. You must love fighting over money. You must love worrying about money. You must have an emergency free life and if you do shoot me an email and tell me your secret. The truth is that having an emergency fund is important if you want to have a stress-free life, a good life, and limited debt or none. It doesn’t matter the income, whether you save $500 or $1000, having that amount of money saved helps you pay for unexpected expenses, and it gives you peace of mind knowing that you will be able to pay it without getting into debt. Not saving money or growing your savings will lead to more debt. How will you be able to pay the mechanic bill when your car needs fixing? Will you use your credit cards to pay for the bill or will you skip paying house bills that month to pay for the bill? If you don’t save or grow your savings credit cards, cash loans services will be your alternative. Using these options will lead to stress, and you are paying more in interest and fees. Starting a cycle that many people are stuck in and one that can easily be stopped if they create a financial plan and grow their savings. Look at your financial goals. Go over your budget and look at where your money is growing. Most of the time the problem why we are not able to increase our savings is us, and that leads us to be afraid to look at our personal finances. Let me put it this way, the majority of the time the reason our savings don't grow is us, and that is a fact. We became too comfortable with what we have saved and settled for what we have, or we simply go back to our old spending ways. I am not saying this to look down on you because I’ve done it before. I am a spender at heart and admitting this to myself has helped me. However, this doesn’t mean that I haven’t fallen into the not saving before. 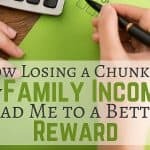 If you followed this blog, you could read my personal posts about my saving struggles and how I have gotten myself back on track. Right now after giving birth and recovering from major surgery I am having a hard time growing my savings. What I had to do was work on getting better first and go back to our original financial goals we set for this year. That gave me a boost I needed to get back on track and start growing our savings again. If you only have one bank account and that is it chances are you are not saving any money at all. How are you growing your money when you only have a checking account? I see this happening with too many people who just simply have a checking account to take care of everything. To grow your saving you need more than one bank account. Open a saving account, give it a name and start putting money into it. If you are like me you need to have your money set aside in an account where you are not easily able to remove my cash, use CapitalOne360. Each week $20 is transferred to my CapitalOne360 account from our primary checking. We use this money during the holidays to help buy gifts and other stuff we might need for the holidays. Because we have been doing this transfers for many years, we are used to it and simply forget that that money is even there. Thanks to the evolution of technology we have more access and control of our money. Long are the days when we used to head to the bank or spent our time on the phone managing our money. What we did five years ago seems to be almost obsolete thanks to technology. Automating your account is the best thing we have ever done. Though, many people still think automating your bills is a bad thing for fear of over drafting. I have to say that I have never had an issue with having my bills automated. Thanks to following a budget and having an account for our bills, each month they are paid on time, and we spent no money on late fees, stamps, or writing checks. You don’t have to drive to your local bank to withdraw money. If you are paying your bills via a third party, you pay fees for that. Making your account automated will help you grow your savings by eliminating extra expenses. We talked about automating your account while doing that create a weekly transfer to your saving account as we have done with ours. 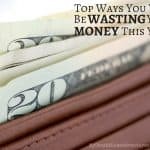 One way to do this is by starting small and working your way up as you work your budget. Years ago I started my automatic transfer to my saving account with $20 every two weeks and then increased it. Though I didn’t have much because of my car breaking down, as a single mom that was a start to grow my savings. We are evolving into direct deposit whether we like it or not. Many companies are requiring their employees to have direct deposit. Many institutions, like unemployment and other government programs, are requiring people to go the automated way instead of the paper route too. How does direct deposit help me save money? First, when you set up direct deposit, you know that when you wake up on payday, your money will be there. If you have other transfer and auto bill scheduled, you will be able to take care of that right away. Second, by setting up direct deposit with your bank, your bank will avoid account fees. Many banks are now requiring you to set up direct deposit to avoid bank fees. Third, you can set up direct deposit to different account making it automatically for you to save money each payday without worrying about transferring or setting a scheduled transfer. Here’s another bonus for direct deposit, it makes it easy to work your budget. If you use apps, you can see where your money is going and get a better handle on your money and your budget. With money-saving apps you get cash, and you can then transfer the cash to your bank account, PayPal, or favorite store gift cards such as Wal-Mart, Target or Amazon. 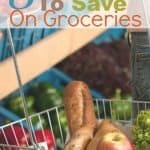 Another great app that is helping us save money this summer is Digit. In July we decided to give this app a try to grow our savings faster. So far as of 08/07/2016, we have saved $141.84 with a goal set of $500 to be reached in February. As you can see we have managed to save over $140 in a little over a month, so our goal of $500 will be reachable sooner than we thought. Thanks to Digit, we can grow our savings, and we love it so much that we are going to continue to use it and continue to increase our savings this way. If you want to learn about Digit, please click the link here and find out more about this company and how it will be able to help you grow your saving faster as it has helped us. A trick that has helped me save money is to write a description for each bank account. The reason why is because when I give a name to each of our accounts, I am identifying the account and reminded what the purpose of each account is. For example, our Christmas account is labeled Christmas to help us identify it and also to know that we are constrained by the amount of money we can withdraw. The old fashion way to help you grow your saving is by simply tossing your loose change into a jar or drawer. We use a pickle jar that when is full holds about $110 to $125. We only cash it when is full or before we go on vacation. What I love about saving change is that my kids are part of this saving process too. Our six-year-old who loves technology has its electronic piggy bank where he keeps all the coins he finds. One thing we do when we really want to save money and fast is only to use cash. As much as I dislike having cash around this system works. We use the cash envelope system, and millions of people use this system to help them save money, and it works! You create categories for your budget. Write the categories on blank envelopes. 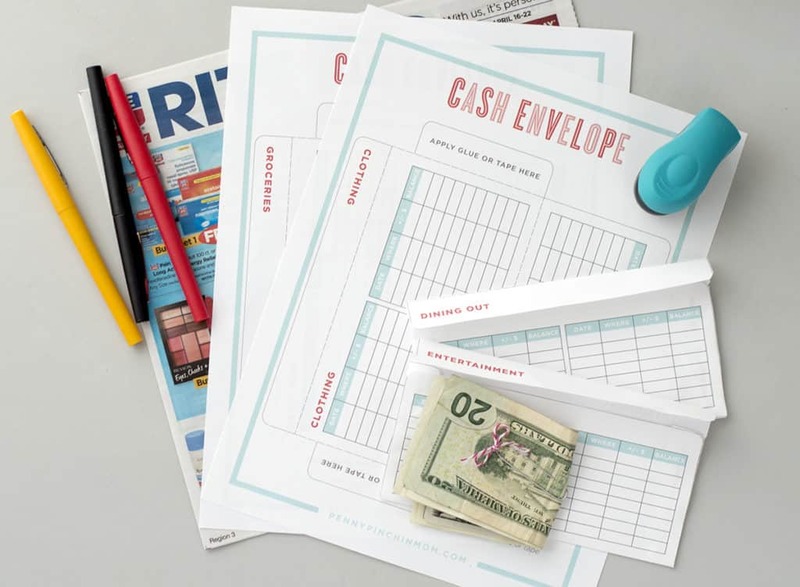 Fill the envelopes with cash selected for each category on your budget. When the money is gone, it’s gone. You can’t refill your envelope just because you spent the money. You can’t go back to your bank account and withdraw money from your account to stuff your envelopes. How I learned about the cash budgeting system was when I read The Total Money Makeover: Classic Edition. Though I enjoyed reading his book, I don’t agree with 100% of his techniques. That doesn’t mean it didn’t help me; I am pretty happy to have found this book and learned from it. Believe it or not, some reward programs do help you grow your savings, and you should benefit from that. When done correctly, reward programs will help you save money. We take advantage of our credit card reward program and use that toward our savings. Now if credit card rewards are not for you, then please skip this tip. My goal is to help you grow your savings, not your debt. These are the best ways to build your savings, and with discipline, you will be able to increase your savings fast. Find the best way to grow your savings depends on you and how much you want it. 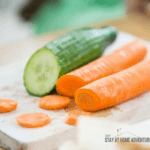 Your turn: What other way do you grow your savings?